Strong residuals on the Genesis coupe mean you should be able to find a good lease deal. 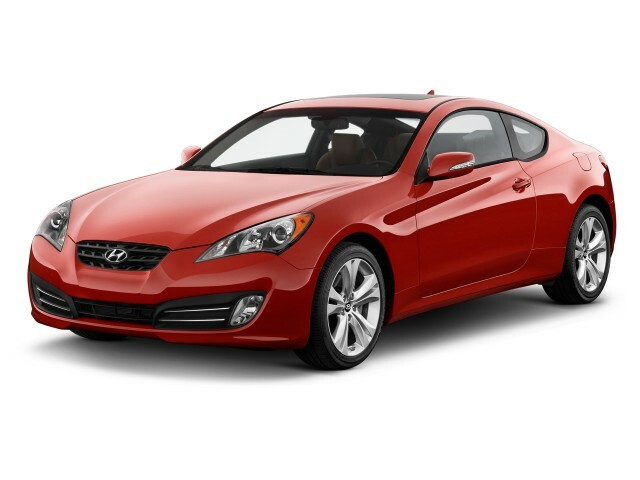 For road or track, the 2011 Hyundai Genesis Coupe is one of the best performance values on the market. The rear-wheel-drive Hyundai Genesis Coupe faces off against a wide range of sporty coupes—including American muscle coupes like the Ford Mustang and Chevrolet Camaro—and depending on desires this racy two-door four-seater can be a track toy or a comfortable commuter. The 2011 Hyundai Genesis Coupe is attractive, and easy to spot from a distance, thanks to the unique styling using a bold Z-shaped character line visible along the side, plus a dip in the glass toward the rear of the cabin. This dip also serves a functional purpose, helping to make the interior feel more spacious and aids in outward visibility. The interior of the Genesis Coupe is a little more traditional-looking for a sporty coupe—a true cockpit-like layout—though its curvaceousness and control layout take some getting used to. While the dash in particular looked a bit drab in previous model years, Hyundai has added bright chrome trim to the gauge cluster and shift face, plus various soft-touch surfaces throughout the interior that should altogether give the cabin a more upscale look and feel. Overall, the Genesis Coupe is a joy to drive, with crisp turn-in, great body control, and strong brakes to match the brisk powertrains. About the only thing that editors haven't liked in past drives is a slightly tense, sensitive on-center feel in the steering. Dynamically, the four- and six-cylinder Genesis Coupe models are different animals. The 2.0t feels light and balanced. It accelerates with just a hint of turbo lag, but the car never comes across as flat-footed. The turbo's ramp in power gives the car a bit of welcome personality. The V-6 feels powerful and pulls hard. You'll never mistake it for a V-8, but the car has strong legs that like to run. It's best to think of the 2011 Hyundai Genesis Coupe as a two-seater; like most 2+2 sports cars, its rear seat is only marginally capable of containing two adults. On the plus side, the front seats of Hyundai's new Genesis Coupe are comfortable, and the interior materials and build quality exceed expectations for this price range. Editors have found the Genesis Coupe's front seats to be quite comfortable, but taller adults will probably find this snug coupe a bit short on headroom. In back, the low, swoopy roofline is another deterrent for trying to wedge adults back there. Most of the time, anyway, you'll be better off folding the back seats forward to expand the ten-cubic-foot cargo hold. Interior materials and build quality can be a sore point on cars with a base price that hovers around $20,000, but the Hyundai Genesis Coupe manages to avoid this pitfall. For 2011, a host of soft-touch materials have been substituted in—in addition to chrome-finish gauge cluster rings, dark metalgrain accents, and other enhancements, so it's been made even better this year. In several drives of previous-model-year Genesis Coupes, we've found them to be tightly built and well assembled, with surprisingly little road noise and wind noise. The one down side to comfort is ride quality, which tends toward the busy, choppy side. Six trims are offered, including three for each engine type, which are designated 2.0T, 2.0T Premium, 2.0T R-Spec, 3.8 R-Spec, 3.8 Grand Touring, and 3.8 Track. Features like USB and iPod connectivity and Bluetooth come standard, while at the top end, the Genesis Coupe can be kitted out with luxury-caliber extras like xenon headlamps, an Infinity premium audio system, fog lamps, heated side mirrors, heated seats, and full leather upholstery. 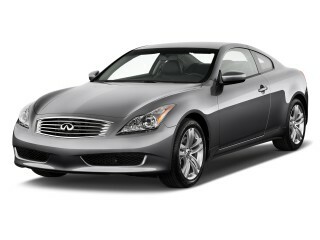 The Hyundai Genesis is a beauty on the outside; and a makeover brings the interior up to task for 2011. The 2011 Hyundai Genesis Coupe is attractive, and easy to spot from a distance, thanks to the unique styling using a bold Z-shaped character line visible along the side, plus a dip in the glass toward the rear of the cabin. This dip also serves a functional purpose, helping to make the interior feel more spacious and aids in outward visibility. The interior of the Genesis Coupe is a little more traditional-looking for a sporty coupe—a true cockpit-like layout—though its curvaceousness and control layout take some getting used to. While the dash in particular looked a bit drab in previous model years, Hyundai has added bright chrome trim to the gauge cluster and shift face, plus various soft-touch surfaces throughout the interior that should altogether give the cabin a more upscale look and feel. The rear-wheel-drive 2011 Hyundai Genesis has the chops to dance with any of the V-6 American muscle coupes. Hyundai set the bar high with its first serious contender in the entry-level sports car market by trying to tangle with the Ford Mustang and Chevrolet Camaro right out of the gate. 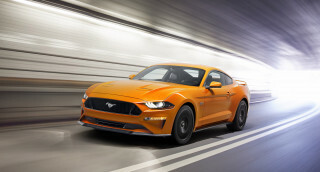 Like the Infiniti G37, Camaro, and Dodge Challenger, but unlike the Mustang, Hyundai's Coupe sports an independent suspension at all four corners. A five-link setup based on the Genesis Sedan hangs out in back. Even the base four-cylinder car comes with 18-inch wheels; 19-inch rims are also available. Tire sizes are staggered front-to-rear for better grip. Dynamically, the four- and six-cylinder Genesis Coupe models are different animals. The 2.0t feels light and balanced. It accelerates with just a hint of turbo lag, but the car never comes across as flat-footed. The turbo's ramp in power gives the car a bit of welcome personality. The V-6 feels powerful and pulls hard. You'll never mistake it for a V-8, but the car has strong legs that like to run. Overall, the Genesis Coupe is a joy to drive, with crisp turn-in, great body control, and strong brakes to match the brisk powertrains. About the only thing that editors haven't liked in past drives is a slightly tense, sensitive on-center feel in the steering. The 2011 Hyundai Genesis Coupe feels tight inside—but it's also tightly put-together and well-appointed. It's best to think of the 2011 Hyundai Genesis Coupe as a two-seater; like most 2+2 sports cars, its rear seat is only marginally capable of containing two adults. On the plus side, the front seats of Hyundai's new Genesis Coupe are comfortable, and the interior materials and build quality exceed expectations for this price range. The interior adopts a pleasant, not entirely edgy theme that includes a big tachometer and speedometer splayed in the driver's sight. A push-button starter and a proximity key are offered. The interior looks sharp with optional leather. Window and mirror controls are on the driver's door, but placed at an odd angle that takes some getting used to. Editors have found the Genesis Coupe's front seats to be quite comfortable, but taller adults will probably find this snug coupe a bit short on headroom. In back, the low, swoopy roofline is another deterrent for trying to wedge adults back there. Most of the time, anyway, you'll be better off folding the back seats forward to expand the ten-cubic-foot cargo hold. The 2011 Hyundai Genesis Coupe packs all the latest safety equipment—though it hasn't been crash-tested. The low-slung Hyundai Genesis Coupe has not yet been crash-tested by either NHTSA or the IIHS, but it still stands out in the safety category thanks to its long list of standard features. Standard safety equipment in the 2011 Hyundai Genesis Coupe includes front seat-mounted side airbags, side-curtain bags, and whiplash-preventing active head restraints, along with anti-lock brakes with brake assist, and stability control. There is one unique styling element on the Hyundai Genesis Coupe that serves more than just an aesthetic function. The drooping, teardrop rear window both looks good and helps improve driver visibility. Among sporty coupes, there's nothing missing here—and the 2011 Hyundai Genesis Coupe is one of the best values in its class. The Genesis Coupe continues the brand's tradition of packing a long list of standard features—a few more than in rival vehicles—with a surprisingly low base sticker price. Six trims are offered, including three for each engine type, which are designated 2.0T, 2.0T Premium, 2.0T R-Spec, 3.8 R-Spec, 3.8 Grand Touring, and 3.8 Track. The standard audio system for every 2010 Hyundai Genesis Coupe includes iPod jacks, a USB input, and Bluetooth connectivity. A 300-watt Infinity audio system is available, as are heated seats. Additional model packages (Premium, Grand Touring, Track, and R-Spec) group features as their names imply. The R-Spec is particularly interesting, as it provides genuine track-readiness in an affordable package just waiting for enthusiasts to modify. For 2011, in addition to new soft-touch surfaces throughout the cabin, the Genesis Coupe gets a new trunklid grab handle and rear coat hooks, along with a new standard navigation system and automatic climate control for the 2.0T Premium and new multi-information display graphics throughout the lineup. Base 2.0T models come with a long list of standard features, including power windows, locks, and mirrors; iPod and USB connectivity; steering-wheel audio controls; cruise control; Bluetooth; and a trip computer. The 2.0T Premium gets a power driver's seat, push-button start, and a sunroof, in addition to the climate and nav extras, while R-Spec models are set up for the track, with a stiffer suspension, Torsen limited-slip differential, Brembo brakes, and sport seats and trim. And to save weight, R-Spec models delete cruise control automatic headlights, and some interior trim. Moving up to the 2011 Hyundai Genesis Coupe 3.8 Grand Touring gets you luxury-caliber extras like xenon headlamps, an Infinity premium audio system, fog lamps, heated side mirrors, heated seats, and full leather upholstery. The 2011 Hyundai Genesis Coupe models are quite green—especially if you go with the 2.0T. Especially with the four-cylinder engine in 2.0T models, the 2011 Genesis Coupe is actually quite fuel efficient. 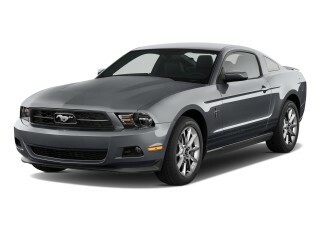 EPA ratings for these models are either 20 mpg city, 30 highway or 21/30. 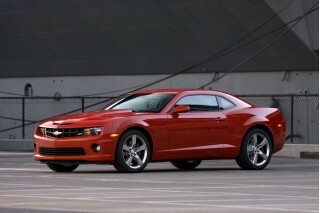 And with the V-6 models, at 17/26 or 17/27, it's no worse than most V-6-powered sport sedans. However, it's worth noting that the V-6 Genesis Coupes rank behind both the Chevrolet Camaro and Ford Mustang V-6 models in fuel efficiency.